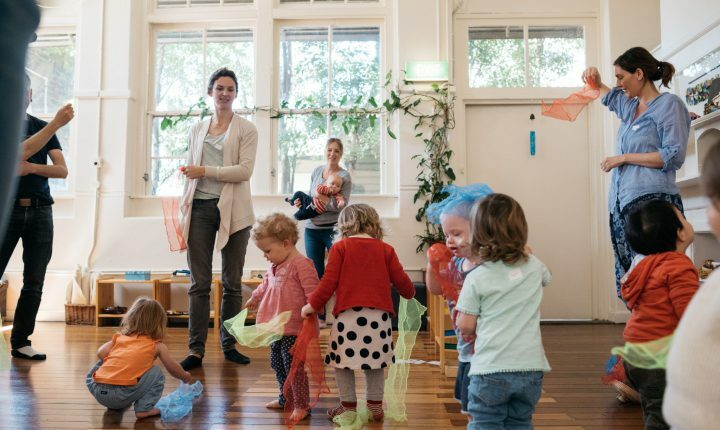 The Parent Toddler Program (18 – 36 months) is a two hour weekly session for parents and their toddlers who engage in a range of activities in a specially prepared environment. 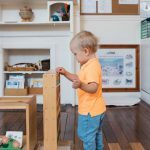 Parents are offered practical suggestions concerning the application of Montessori principles in the home and benefit from observing their child using these principles in the classroom. The program responds to the child’s absorbent mind and a strong sense of order, which is particular to this age group. The Montessori Parent Toddler Program (PTP) involves discussion, participation and observation. How is the PTP Montessori classroom physically prepared to support each child’s learning and independence? 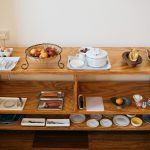 The room in which the group meets is a “Montessori prepared environment”. The activities inside and outside the room meet the developmental needs of the toddler. This means that each activity is specially chosen to meet the intellectual and social needs of children in the age group. 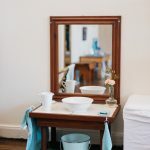 This special environment is prepared for the child’s growing independence, self-esteem and supports the development of confidence and concentration. The activities are on low shelves so that the children can access them. The room is generally set up the same each week to give consistency and respect for the child’s love of order. 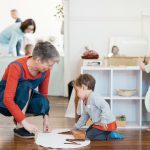 If activities are put away in the same order then the children soon learn where things belong. As much as possible, materials are arranged on trays from left to right. Some activities have a particular sequence. The Director presents and explains these activities as required. 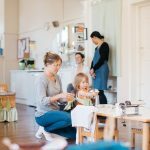 What is the general schedule of a Parent and Toddler Session? Arrival Children remove their shoes and put them and their bag on the shelves before going to the bathroom to use the toilet and/or wash hands. Greeting The child and their parent/carer shakes hands with the Director. The parent models the action first without pressure for the child to do it. The Director builds a relationship with the child over time so the child feels comfortable to return the greeting being modelled for them. Offering Children bring a piece of fruit, vegetable or flower to the class and place it in the fruit bowl, language basket or vase as they enter the room. 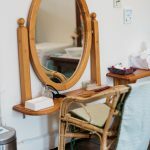 This builds a connection between home and the prepared environment and a level of contribution and ownership. Observation The child is allowed to explore the room, and the parent/carer observes them as they make their own choice. The child decides what activity they need. The engagement in one activity at a time is encouraged. Follow the child All materials are free for the child to explore and work with, at any time, for as long as they wish. Freedom to choose is fundamental in Montessori. In this way, the child will show others how they are developing. Making choices builds their independence and self-esteem “I can do it for myself”. Repetition is part of this process. Snack Snacks can be taken at any time from the food available. It is prepared at the preparation tables and eaten at the communal eating table. Water is also available for drinking. Work inside and outside There are lots of engaging activities inside or out and the child should choose where they would like to be. Song time Songs are shared as a group towards the end of the session. It is a way of assisting the child to understand that the session is about to end and it is also fun; a chance to come together and share the experience of music and movement. Farewell The Director says farewell with a handshake. Sit (rather than stand), whenever possible, on the stools provided. Observe all the children as well as their own. Let the child choose his/her own activities at one time. Refrain from assisting – allow the child to do everything for themselves. At first a parent might need to be close to their child, but once they are engaged they can move back and sit to observe. Keep adult noise low. Use a low tone of voice. Sometimes a parent/carer will be actively participating in activities with their child and other times they will be in the background observing. Either way, this is a time to enjoy the peace away from the pressures of the rest of the day and to be together with other parents and children building a foundation in Montessori education. As parents/carers learn a little more each week they are able to observe how their child is growing and changing with additional knowledge and respect.